Crisp-tender vegetables are sauteed in a lively and savory miso-ginger stir-fry sauce that is so out-of-this world you are going to want to eat it with a spoon. If you are stocked with basic Asian ingredients you might even be able to make this tonight! One thing I love about this dish is that it includes all of the 5 tastes. The 5 tastes refers to the collection of flavors we are able to distinguish. For each of these tastes we have a designated gustatory receptor – or unique section of the tongue that picks up the flavor. I find that the more tastes that are represented in my meal, the more satisfied I am and the better I digest the food. Years ago, when I was reading up on Swedish bitters, I learned that the absence of one or more of the five tastes are thought to lead to a digestive imbalance. While sweet, sour and salty abound, the bitter taste is sorely lacking in the typical American diet. This is one reason that many people experience immediate relief from heartburn or bloating with Swedish bitters. This herbal concoction has medicinal qualities as well, but there is often a shift that happens as soon as it hits the tongue or is swallowed. I’ve personally experienced this when taking Swedish bitters or having a sip of Becherovka (a famous digestif made in Czech Republic) after a heavy meal. As my diet has become more balanced over the years, I have naturally included more bitter foods. Umami, officially identified in the early 1900’s, is described as a delicious savory flavor and it can not be made by simply combining any of the other four tastes. It is unique. Umami foods have a common denominator – the amino acid glutamine. Glutamine is found naturally in many foods, including meats, dairy (especially aged cheese), tomatoes and seaweed. When food is prepared in certain ways such as microbial fermentation and grilling, the amino acids can get rearranged and some of the glutamine can separate from the other aminos and become free glutamate. This can make food taste really good! And many of these foods have fantastic health benefits. But they might cause issues for some people if eaten in excess. When the processing gets more severe (even so-called natural processing using enzymes or extremely high heat) the amount of free glutamate increases. When it binds to sodium in the food it becomes mono-sodium glutamate (MSG). The most common source of umami in the American diet is probably MSG. But for many people, MSG can be unhealthy or even dangerous. When Kimi wrote about the food and behavior connection in children, she mentioned MSG as a chemical to which many children are sensitive. I definitely agree. When my kids are eating more foods that contain MSG (it slips in from time to time), their appetite gets whacked and they begin craving processed foods. And since MSG can cross the blood brain barrier it can definitely affect behavior, in some people more than in others. A little while back, I wrote about MSG and the blood brain barrier as well as who is vulnerable and how to avoid it (it’s not as easy as scanning the label). When trying to make a move away from processed foods, finding natural sources of umami is critical for success. The umami taste is so alluring that unless it is in the diet, we might be tempted to seek it out in unhealthy ways. Now it looks like the 5 Tastes may be bumped up to 6. Good news – the newbie is fat! Research shows that we may have a taste receptor for fat (and I’m pretty sure that mine is disproportionately large). Why is spicy not considered a taste? Spicy is not actually a taste – it’s a sensation. A pain sensation. This makes me question my obsession with jalapenos! This sauce isn’t spicy. It includes a good dose of ginger, but it mellows as it cooks. I like to add crushed red peppers to my own serving. I had a bunch of ginger that was showing signs of turning, so I peeled and roughly chopped it and threw it in the blender with just enough water to cover it, then liquified it and poured it into an ice cube tray to freeze. I happen to have baby food trays with a lid, but regular ice cube trays would work just as well if you transfer the cubes to a freezer bag or Pyrex container once they are frozen. The last time I made this stir-fry I just popped one of these ginger ice cubes into the pan right before adding the sauce. They also come in handy for green smoothies and soups. For a quick ginger tea you can drop a couple into boiling water and if you have time add a little raw honey and/or lemon. I also use this technique for saving fresh herbs before they go bad. I hope your family gets to enjoy this dish soon! Here’s a tip for getting kids to eat it: chop the vegetables small, mix them into rice and call it fried rice. This quick & simple miso stir-fry is a perfect for a busy night. Whisk together the sauce ingredients (everything except for the vegetables and olive oil). Heat the olive or coconut oil a large pan over medium heat. Stir-fry the pepper, onion and carrots, stirring occasionally until "crisp tender" (about 10 minutes). Add the greens and saute until tender to the bite. Add in the sauce and allow it to heat through gently (about 1 minute). Serve over rice or quinoa. Add chicken, shrimp or steak if you'd like! I like to use olive oil when sauteing vegetables, but oftentimes I'll add a little water to the pan first (1/4 cup or so) to temper the heat since olive oil becomes unstable at high temperatures. 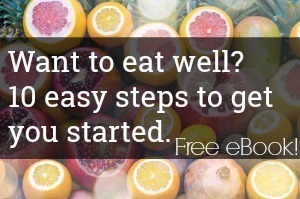 « A Great Source for Traditional Food Supplements + Giveaway! This is a wonderful post! I’m fascinated with the ‘5 tastes’ AND I just discovered miso soup last time my husband and I went out for sushi, so I’m excited to have another kind of recipe to try miso in once I get some. Thank you so much Raquel! Hope you love it. What a great post! I’m a little familiar with the 5 tastes but wasn’t aware of how deficient the American diet is in the bitter taste. I do tend to like the foods you mentioned, though, so maybe my personal diet isn’t quite so deficient. I’d like to pay more attention, though, to including all 5 tastes in more meals to see what kind of difference it makes for me. I really look forward to trying your recipe too. I looooove miso and ginger and mushrooms! Thanks Alison! I bet you naturally do that (include all 5 tastes) at many meals.